I want to state that this post is not a reflection on all quail breeders in New Zealand, with whom I hope to maintain a positive relationship, but an isolated, and hopefully, rare case. I am trying to get more good unrelated quail (Coturnix coturnix) birds to enhance my breeding programs. Lack of available birds, costs and unwillingness of some breeders to work together in my efforts to enhance the quality of the Coturnix coturnix in New Zealand has forced me to buy eggs and hatch with the hope of finding some good birds among them. Needless to say, it is an uphill battle. I am reporting here on one specific “Breeder” that has sent me three batches of eggs. 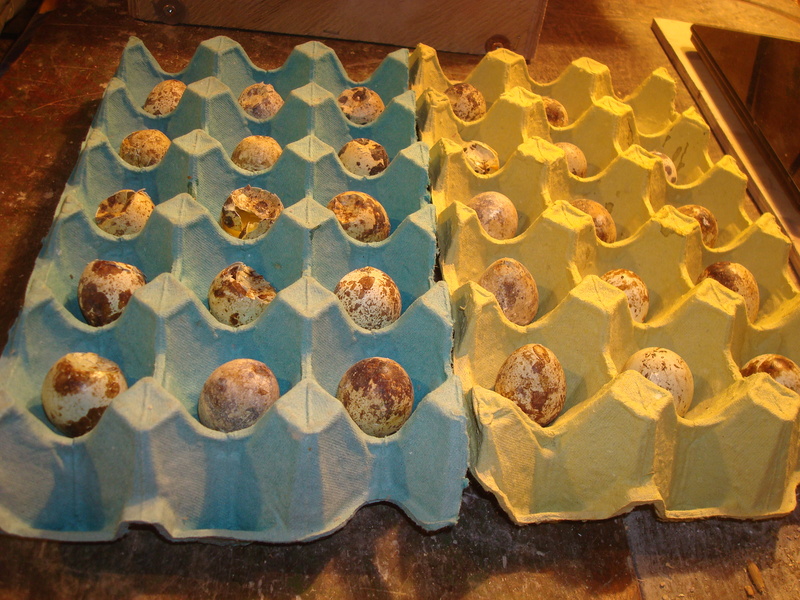 The first batch had a hatching percentage of 0%. 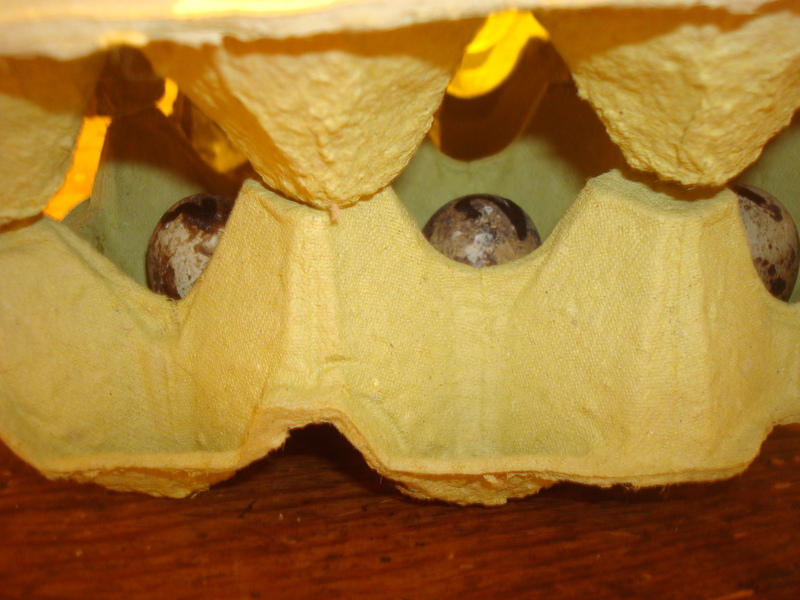 In the same machine were eggs from other breeders which have achieved hatching percentages well in excess of 60%. Consignment two is still in the incubator. 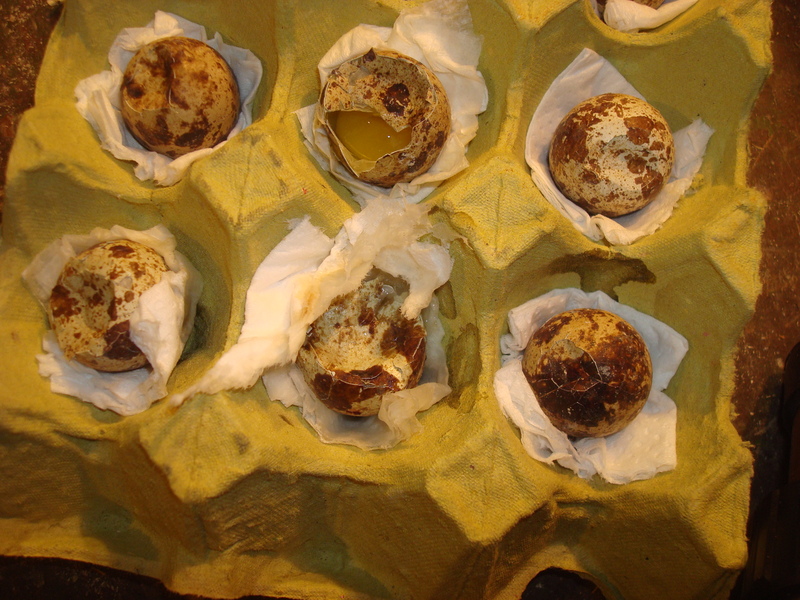 Consignment three, of 100 eggs, arrived with 52 visually broken eggs and perhaps many more with hairline cracks – 13 of the unbroken eggs were under 8 g in weight (too small to incubate) – All egg yolks are a palish yellow color, pointing towards very unhealthy and underfed birds. 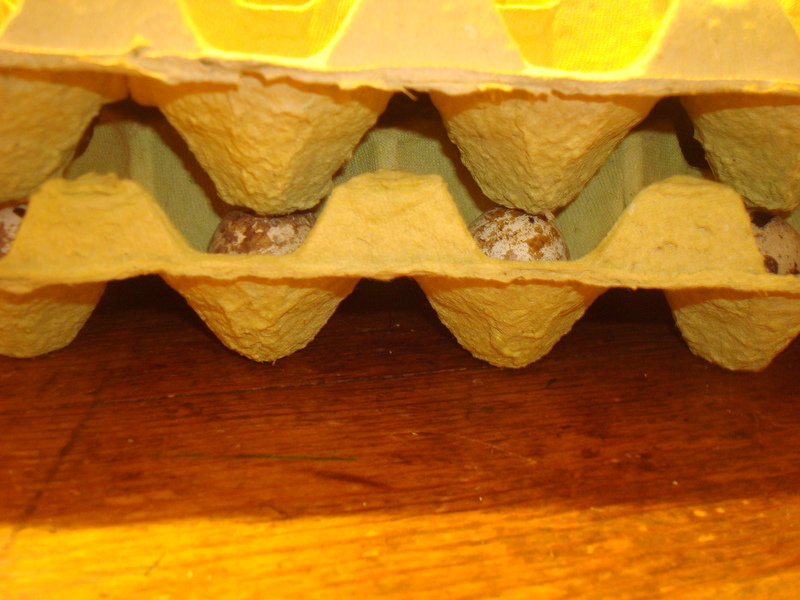 The breakages occurred because the sender cut and stacked the egg trays in such a way that each egg tray actually rested on the eggs below, instead of having the trays supporting each other protecting the eggs (see last photo which is an example – the other photos were actual as the eggs were received). 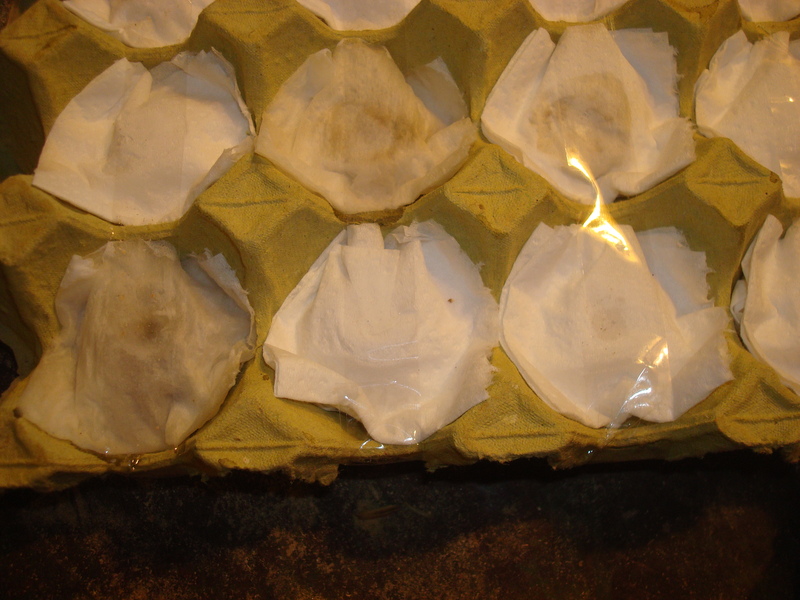 The “Breeder” refuses to reimburse or replace any eggs as he claims that the courier to be at fault. I have used the same courier for hundreds of egg consignments wit good results. What’s his name so that we can all benefit. It would not have made any difference, as the Sender is adamant to not accept any responsibility at all. I am positive he does not care, nor understand. I have ordered from him three times, giving him the benefit of the doubt after the first disaster, which was discussed with the Sender in detail, before ordering the second and third lots. A huge loss of birds and money – lesson learned and amendments made. Not worth wasting more energy on somebody like that. Ignore and move on. They are their own karma to be honest. If you give “service” like that, you won’t have ANY customers as no-one will go back again. What a disappointment for you; if it had happened to me I would have seriously considered returning them to the sender.